American Catholic Council American Catholic Council is a movement bringing together a network of individuals, organizations, and communities to consider the state and future of our Church. We believe our Church is at a turning point in its history. We recall the promise of the Second Vatican Council for a renaissance of the roles and responsibilities of all the Baptized through a radically inclusive and engaged relationship between the Church and the World. We respond to the Spirit of Vatican II by summoning the Baptized together to demonstrate our re-commitment. We seek personal conversion to renew our Church to conform to the authentic Gospel message, the teachings of our Church, and our lived context in the United States. Our reading of the “signs of the times”, as we experience them in the US, our plan and our agenda are set out in our Declaration. 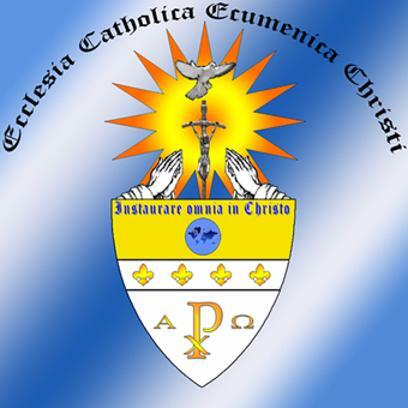 We educate; we listen; we facilitate discussions and encounters; and, we build toward an American Catholic Council that will convene in Detroit over Pentecost weekend in June of 2011. At this Council we hope to proclaim our belief in the Rights and Responsibilities of US Catholics. Main site 2003-Present. The Association for the Rights of Catholics in the Church (ARCC) was founded in 1980 by lay and clerical Catholics in the wake of Vatican condemnations of such theologians as Edward Schillebeeckx, Jacques Pohier, and Hans Küng. ARCC seeks to institutionalize a collegial and egalitarian understanding of Church in which decision-making is shared and accountability is realized among Catholics of every kind. We are Church! “Call To Action USA (CTA) is an independent national organization of over 22,000 people and 40 local organizations who believe the Spirit of God is at work in the whole church, not just in its appointed leaders. We believe the entire Catholic church has the obligation of responding to the needs of the world and taking initiative in programs of peace and justice.” The CTA front page features frequently updated and topical resources. CORPUS (USA) CORPUS is a faith community affirming an inclusive priesthood rooted in a reformed and renewed Church. It provides not only a ministry of service which is open to the diverse ways people are authentically called by God, but seeks also sacramental ecumenical collaboration. The community and ministry are defined not only in traditional and canonical categories but in terms of the needs which require autonomy and pastoral service. CORPUS is defined by the Roman Catholic tradition and also by the charisms and conscience decision which the Spirit inspires. Elephants in the Living room Elephants is an organization of priests of the Archdiocese of Detroit, strongly supported by participating laity, who seek renewal of the Church of Detroit. We do this by offering opportunities for education and creating an open forum for discussion and dialog that will lead to developing and advocating more collegial solutions to the challenges we face. We firmly believe these efforts will contribute to greater solidarity among priests and a renewed Church of Detroit. www.gaychurch.org is a web site dedicated to ministering to the gay and lesbian Christian community (GLBT) and to the friends of our community. The site features the largest gay/lesbian affirming Christian church directory in the world. A large section of the site is dedicated to articles pertinent to reconciling ones faith with their sexual orientation ("Gay and Christian?"). Fellowship of Southern Illlinois Laity (USA) FOSIL – Fellowship of Southern Illinois Laity – is an organization of lay Catholics working, in the tradition of the early Christian community, to keep the voice of prophecy alive. FOSIL recognizes our call from Scripture and The Decree on the Apostolate of Lay People from Vatican II to extend Christian social action to every sector of life. By providing and promoting adult education, FOSIL works to further the reform and renewal of the Catholic Church and to ensure justice, equality, and dignity for all people. FutureChurch (USA) FutureChurch is a national coalition of parish-centered Catholics who seek the full participation of all baptized Catholics in the life of the Church. FutureChurch, inspired by Vatican II, recognizes that Eucharistic Celebration (the Mass) is the core of Roman Catholic worship and sacramental life. We advocate that this celebration be available universally and at least weekly to all baptized Catholics. New Ways Ministry (USA) New Ways Ministry is a ministry of advocacy and justice for lesbian and gay Catholics and reconciliation within the larger Christian and civil communities. Through research, publication and education about homosexuality, we foster dialogue among groups and individuals, identify and combat personal and structural homophobia, work for changes in attitudes and promote the acceptance of gay and lesbian people as full and equal member of church and society. SEPA WOC Southeastern Pennsylvania Women’s Ordination Conference (USA): SEPA WOC is the Philadelphia-area chapter of the Women’s Ordination Conference. As women and men rooted in faith, we call for justice, equality and full partnership in ministry. We are committed to Church renewal and to the transformation of a structure which uses gender rather than gifts as its criterion for ministry. We meet regularly in the Philadelphia area to organize educational events and witnesses. Voice of the Faithful (USA) Voice of the Faithful seeks to provide a prayerful voice, attentive to the Spirit, through which the Faithful can actively participate in the governance and guidance of the Catholic Church by a)supporing survivors of clergy sexual abuse, b)supporing priests of integrity, c)shaping structural change within Church. Women’s Ordination Conference (USA) Founded in 1975, the Women’s Ordination Conference (WOC) is the world’s oldest and largest organization working solely for the ordination of women as priests, deacons, and bishops into an inclusive and accountable Roman Catholic Church. To this end, WOV works to: a)renew church governance to be inclusive, accountable and transparent, b) bring about justice and equality for women in the Church,and c) incorporate women-centered theologies into every-day Catholicism. Women-Church Is a coalition of autonomous Catholic-rooted groups raising a feminist voice and committed to an ekklesia of women which is participative, egalitarian, and self-governing; a discipleship of equals working to eradicate patriarchy, especially racism and sexism in order to transform church and society.